Holm Made Toffee owners Donna and Randi Holm. There's great news for those with a sweet tooth. 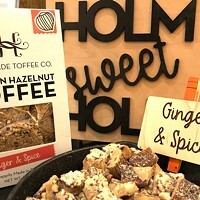 Local artisan toffee maker, Holm Made Toffee, is moving into a new commercial kitchen space, formerly a bakery, and doubling its production facility. Co-owner Randi Holm said, "Increased production and room for larger equipment will allow us to offer more seasonal flavors and a more diverse product line. 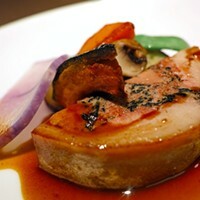 We plan on doing some fun additions around the holidays and Farmers Market seasons." Expect more handmade toffee topped with Oregon-grown hazelnuts in flavors including Himalayan sea salt, espresso and cardamom vanilla. Holm Made Toffee isn't moving very far; the new space is next to the current one in Bend's Makers District. 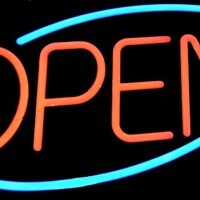 Find Holm Made Toffee online and all over Central Oregon, including Food4Less, C.E. Lovejoy's Market, Market of Choice and Newport Market.